UTHealth School of Public Health degree-seeking and non-degree seeking students currently enrolled in ‘for credit’ courses should use the add/drop/audit form when registering for an audit course. Registration dates and times can be found at The Office of the Registrar. Obtain signature from the primary UTHealth SPH faculty member teaching the course. Deliver the signed form to the UTHSC-H Office of the Registrar. Rice or Baylor students should complete another inter-institutional enrollment form if adding an audit course after initially enrolling for a for credit course. Fill out form and obtain signature from the primary UTHealth SPH faculty member teaching the course. 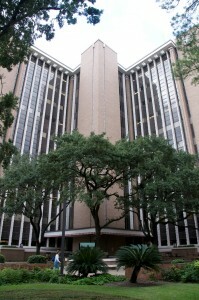 Deliver completed form to the UTHealth Office of the Registrar and pay fees. Once registered, the registrar will add the student to the class roster.